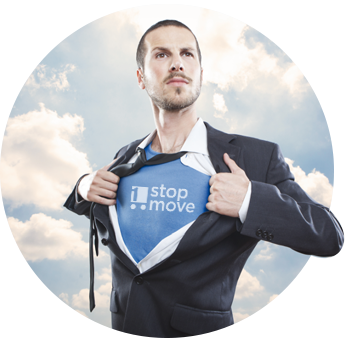 1stopmove provides a free address changing service, administered by trained professionals. Absolutely no cost to you. Simply submit your info and we begin the process. We notify everyone. Not only do we ensure that your mail is forwarded, but we also notify 3rd party vendors and organizations (cable, internet, magazine subscriptions, etc.). 1stopmove.com has spent over 15 years helping people move around the country. We have developed an unrivaled system to manage address changes. Put our expertise to work and take the stress out of your move. We are a company based in San Francisco, CA which provides change of address assistance and offers a host of additional moving related savings and offers through our partners network. Provide us a list of all organizations and businesses which require your new address. We contact and make sure each one updates your details with the new address. Wait for a Pave representative to promptly contact you with full details. Drop your questions here and a Pave representative will contact you. 1StopMove.com, Change of Address & Postal Service, is a private business entity that facilitates the address change (postal service) request process for its users. 1StopMove is an independently owned complete change of address site and operated by 1StopMove.com, Inc. and is not affiliated with the United States Postal Service (USPS, or US Postal Service). 1StopMove Postal Service acts as your authorized agent for users wishing to file their address change request with the United States Postal Service (USPS, or US Postal Service) and other organizations. Users submitting their change of address request may also be presented offers for commercial products and services related to the moving process. The accuracy of the information is the responsibility of the user including the submission of a signed change of address form with the United States Postal Service (USPS, or US Postal Service).